Tracee Ellis Ross does it again. It&apos;s not quite officially awards season yet (and thank god, because we could not handle that coinciding with Fashion Month), but the Emmys act as sort of a teaser for the real thing. 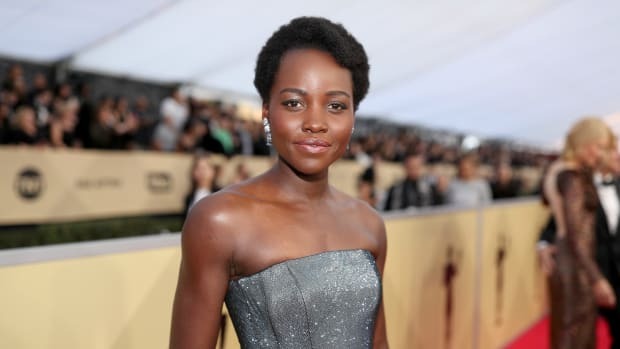 In that sense, stars don&apos;t necessarily bring out their most show-stopping dresses, but there were still some noteworthy looks — many of them from our (and probably your) absolute favorite TV stars — that hint at what&apos;s to come on the red carpet this winter. 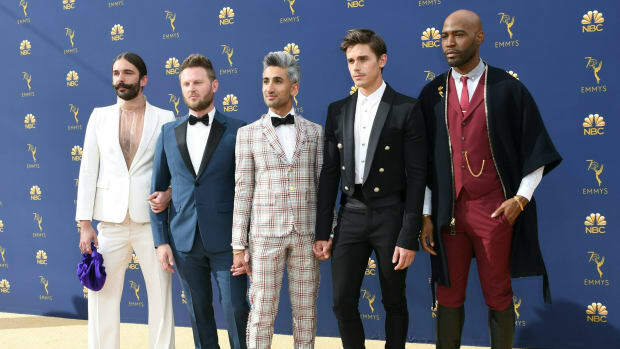 This year&apos;s Emmys red carpet was in fact more exciting than we expected, and gave us some real gems: The entire cast of "Stranger Things" looking like tiny style icons; the entire cast of "Queer Eye" bringing some much-needed, statement-making men&apos;s fashion to the red carpet; "Black-ish" star Tracee Ellis Ross being the GOAT in hot-pink Valentino Haute Couture, Leslie Jones bringing us the requisite ultra-cool suit moment in Christian Siriano, and much more. Fashion-wise, the bar for the rest of awards season has been set pretty high (especially for Ross). 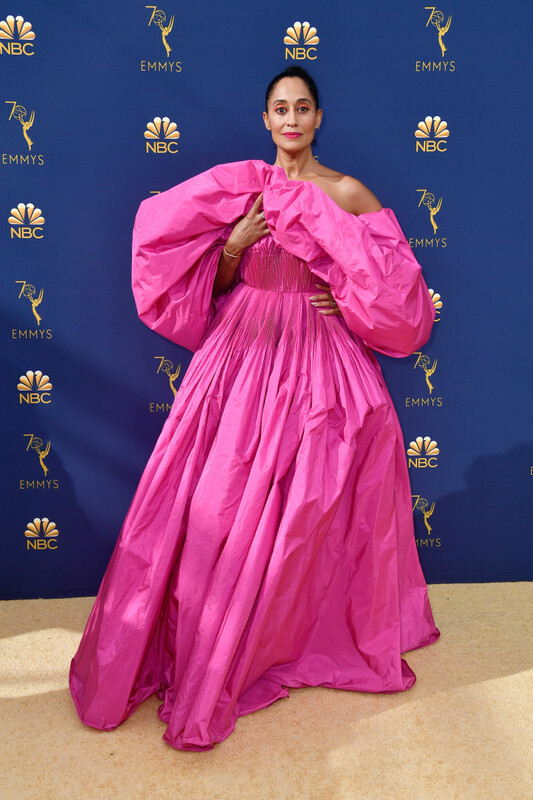 Click through the gallery below to see our picks for best dressed at the 2018 Emmy Awards. We rounded up the stand-out hair and makeup moments from the evening. 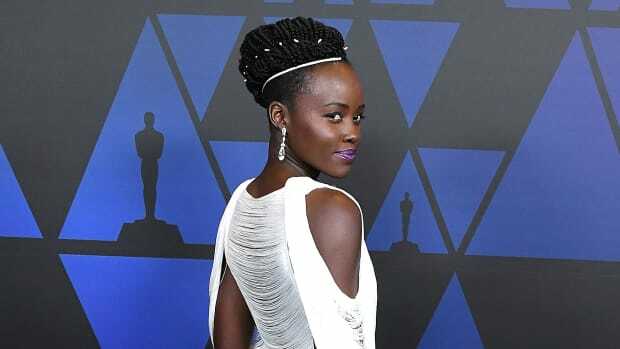 Celebrities hit the "Honorary Oscars" in their Sunday best. There was glitter, shimmer and plenty of high-octane drama.